In his nearly 30-year stint with Tata Motors, Rajendra Petkar, Chief Technology Officer, hasn't seen busier days than now. He talks about strategies to tackle new challenges and tap new opportunities in the fast-evolving automotive landscape. Is this the busiest period for you so far? Yes, busiest, exciting and very challenging. Sometimes, people might be thinking they are charting unknown territory, but that is the case. The entire automotive industry is seeing exciting times like the disruptions which are happening, including the digitalisation. The automotive world is getting more interesting, disruptive and competitive. Within that, Tata Motors is on a turnaround drive. What are the changes that are taking place or how are you evolving as an R&D organisation? If you look at what is going to happen in the next 2-3 years, expect to see many technological interventions. The first one is related to propulsion technologies. Because of the migration from BS IV to BS VI, this is one change which R&D and the organisation have to get ready with. The second trend that we have seen is in the small vehicles, passenger cars, the compact and the subcompact car categories. There is a movement towards petrol-engined vehicles. So that is where we need to look at how we can improve petrol vehicles, their performance and offer multiple offerings with petrol as the main powertrain. The new crop of passenger vehicle models are helping Tata Motors in its turnaround drive. CV sales are also on the rise. The third area as far as propulsion technology is concerned is the government's focus on alternative fuels and electrification. There was an announcement that the government would like to expand the gas station network by 10,000 or more CNG stations. This clearly indicates that the government is keeping the automotive industry at the forefront. There is also talk and an announcement from the government with respect to LNG. They would like to make LNG more and more abundantly available in certain corridors and we are looking at how to develop our portfolio suitable for LNG applications. Coming to electrification, it can manifest through a number of technologies – through full battery electric vehicle technology or through hybrids. Therefore, our focus is going to be on building technology, capability, scale and capacities in R&D to be able to ride this emerging or unfolding scenario in the domestic market. Another important area is modularity. At Auto Expo 2018, we exhibited the Omega and Alpha architectures on passenger vehicles and also showcased the Ultra range of commercial vehicles. With the Ultra, we showcased how multiple applications can be created by leveraging the modular approach. This means you develop those variants suitable for the customer’s requirement but at the same time, you keep maximum parts in commonality which actually helps to simplify the manufacturing line, the supply chain and the R&D process. Going forward, it is going to be a way of life as far as Tata Motors is concerned. Which means a lesser number of platforms but more number of applications, and more number of variants? If you actually go within the systems inside the vehicle – passenger vehicle or commercial vehicle – it’s all about the modules. Earlier, a car used to be built up from the parts, then the parts helped make the sub-assembly, assembly, then we produced the full vehicle. Now the concept is completely top-down. How many modules do I need to have in the car, how many modules do I need for the trucks and therefore can I do away with the concept of building the model with the parts? Similarly, our production lines are actually going to receive the modules, so they don’t have to receive the parts, assemble by themselves and create a model on site. And there is the collateral benefit to the customer and that is where the product configurator comes in. 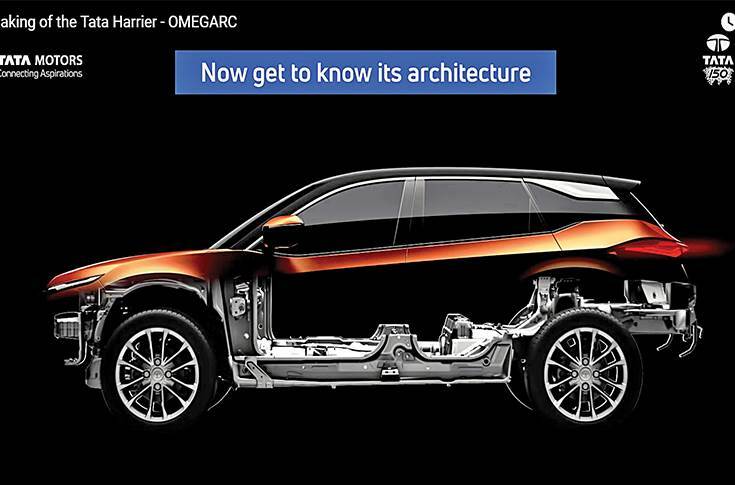 which is derived from Land Rover's D8 architecture. A configurator is actually a tool which is going to be there at our dealerships which will allow the dealers to take the inputs from customers as to what their applications are. Once those applications are fed into the configurator, there is a back-end connection right up to my PLM or product lifecycle management design system. You can have multiple options in the module and therefore the product creation process is not now on the basis of the child parts, but on the basis of the full assemblies. We have developed the configurator and we will be introducing it shortly. The configurator, which will be for both commercial vehicles and passenger vehicles, seamlessly connects the front end to the back end and allows more number of variants that could be generated. With shrinking lifecycles and new regulations, have you adopted new approaches to meet challenges? Look at the way we are going to meet BS VI emission norms. 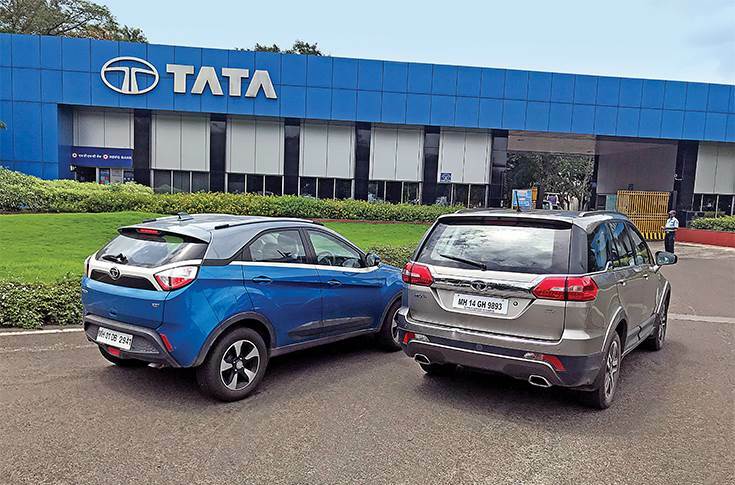 For Tata Motors, BS-VI is not just a migration from one emission norm to another but it is going to be a wholesome kind of a new product experience for the customer. The traditional way of upgrading a product from BS IV to BS VI would have taking anywhere from between seven to nine years. So we needed to look at all the processes, all the steps and the way we approach product development, and we have done deep thinking on that. 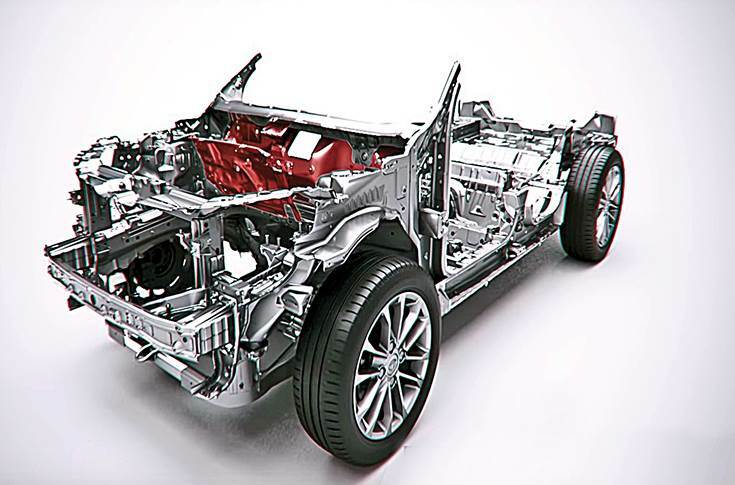 Tata Motors' Advanced Modular Platform can be adapted to build cars and SUVs of different shapes and sizes. The same philosophy also had been deployed for our regular products notwithstanding BS VI. We now have the Gen-3 NPI product development process where the focus is on the pre-kickoff stage for all products. We look at it both from the business aspect as well as from the strategic point of view. We are now focusing more on accelerated testing and validation and are using a lot of digital tools for the simulation process. In terms of propulsion technology, Tata Motors had invested in compressed air technology. Are we going to see its commercialisation in the near future? The technology is in the development stage. We have been able to make some improvements. Being a disruptive technology, it has been challenging. However, we are still interested in its development. Whenever there is a major breakthrough, we will, of course, tell you. But we are working on that. Except for one model in the industry, all electric cars are electrified versions of conventional vehicles. Are you working on any electric vehicle ground up? We have to go by the manner in which vehicle electrification is going to grow in the country. Right now, the existing applications are as per the specific government tender. The growth of the electric vehicle industry would also depend on how rapidly the EV charging network grows in India. The Tigor electric sedan meets the tender requirement but when we want to offer the vehicle for the personalised segment, the expectations are going to be different and therefore the customer may require a different kind of range. What kind of charging infrastructure is going to come up, what is the level of the localisation that we do, what the government incentives are going to be to facilitate penetration of EVs? These are all questions that need answers. We will be looking at all these aspects and therefore what we offered is just the first manifestations of our EVs. On the commercial vehicle front, we have already deployed electric buses in Himachal Pradesh, and have won six tenders from various municipal corporations. As far as EVs are concerned, we know the technology, we know how to build the car or the bus or any other vehicle for that matter, but the question always would be what is the right time and what are the right specifications. Does it concern you as a CTO that India doesn't have a policy for electric mobility yet? Many seem to be grappling with a clarity of the road ahead. Those things, in our opinion, will become clear. This is a complex topic. Today we are dealing with conventional liquid fuels, gaseous fuels, renewable fuels like ethanol, methanol, biodiesel and also electrification. All the aspects of propulsion technologies are being simultaneously looked at by the government. Therefore, they will have to come up with the roadmap and help develop clarity. Being an important stakeholder, we are working very closely with the government and supporting the initiative. It doesn’t worry me. I am also aware that it is not an easy thing for anybody. It takes time to build strategies, there are going to be long-term repercussions on the domestic auto industry, the vendor community, jobs in the country, and the manufacturing sector in the country. So, it is better to take a very informed call and once you choose a direction, then fall behind it. We should allow the government the time to come up with the policy but the sooner we get clarity on the same, the better. Another megatrend is connected vehicles. Are you working with any partners on developing any new projects in this space? I can't tell you specifically as to with whom we are working because ultimately we are looking at a connected vehicle platform which is going to serve the entire portfolio of applications of Tata Motors – passenger vehicles, commercial vehicles and electric vehicles. We are looking at an approach which will serve all the vehicle programs.